On a bright and early Monday morning, over 200 volunteers from Orange County came together to create a brand new playground in the City of La Habra. With the of help Disney and the nonprofit organization KaBOOM!, a safe area for play was created. As the day began, Disney voluntEARs, City of La Habra volunteers and KaBOOM! members anxiously arrived and waited for the day to start. A live DJ was out playing a variety of high energy songs as people checked in. Each person checked in was given a bandanna and a pedometer to count their steps. Also in attendance was Disneyland Ambassador Sachiko White, who gave a warm welcome to those that were ready to start off their day and she also noted that this is the seventh park to be built in Orange County. Several safety instructions were given by the KaBOOM! members and the electric slide dance stretched the volunteers out, it was time to start. After these important steps, it was time to split everyone into their groups. There were a variety of jobs such as mixing concrete, planting a garden, panting games of hopscotch, spreading mulch and more. All the volunteers quickly sprang into action. The playground was completed in eight hours and ready to be a safe place for play. 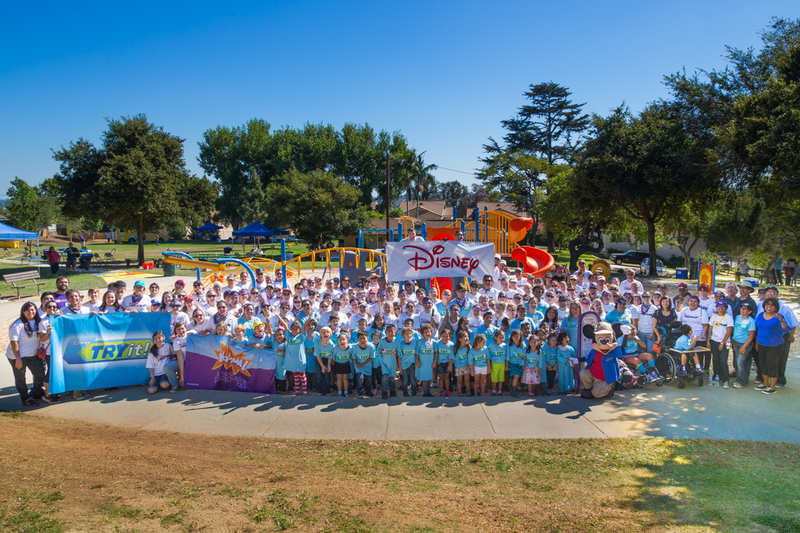 The playground was made through support from Disney as part of Magic of Healthy Living. If you would like to learn more about KaBOOM!, please visit their website by clicking here. This is very cool! Have you visited any of the other parks? I have not, but I totally need to! Way to go on covering this! Way to go Disney and the VoluntEars for building it with Kaboom! as well! The question is… did you try any of it out?